We are pleased to welcome you at the website dedicated to the creative legacy of Alexander Blok. The archive of A. Blok treasured a lifetime. Led paper to rough notebook of poems, notebooks diaries, dated and bound notebook. Now in the archive, almost evenly spread between the Russian State Archive of Literature and Art and the Department of manuscripts of the Institute of Russian Literature of the Russian Academy of Sciences, more than a thousand units. In the collection of the RGALI (F. 55. In. 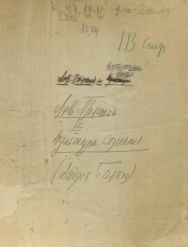 1 – 3) is more than 380 manuscripts, including collections and cycles of poems "Tales" (1913) and "Gray morning" (1920). 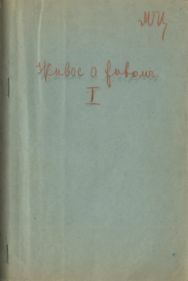 The pearl of the RGALI collection – the correspondence of the poet: letters 197 Andrew White, 69 – Sergei Gorodetsky, 52 – Alex Remizov, 54 – Zinaida Gippius, thirty letters to Valery Brusov, fifteen – Vyacheslav Ivanov. In combination with material from other funds RGALI this correspondence is a holistic complex. Separately to say about the letters of Block to Lyubov Dmitrievna Mendeleeva-Blok. More than 450 letters of Block (370 and response) is not only correspondence, but also a diary, creative studio and the encyclopedia of life Russian poets of the Silver age. 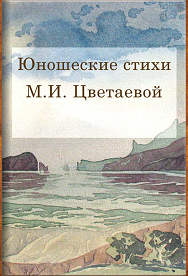 In the collection of the Pushkin House (F. 654. In. 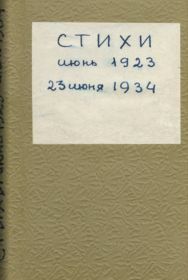 1, 2) are kept notebook of poems for 1900 – 1921, draft autographs ("Twelve", "Scythians", "Nemesis", "the puppet show", "the Stranger), articles, reviews, working papers. The most valuable part are the diaries and notebooks, which he led almost his entire adult life: from 1900 to 1920/21. If the diary is associated by text, almost a work of art, the notebook is a "divine discontent" work notes, drafts of poems and prose, painful autobiographical lines, trips in Shakhmatovo and read books. Now the scientist at his desk has an opportunity to read in the autograph notebook, in front of which in the inventory for many decades was the most terrible for the researcher title "prohibited". We express our deep gratitude to the team edition of the works of A. Block (Pushkin House) and personally Natalia Yuryevna Gracelove, provided invaluable assistance in creating this site. The section “Digital archive” contains creative heritage that is kept in the funds of RGALI and IRLI, RAS. In the “Research” section scientists can familiarize themselves with both classic and contemporary scientific works dedicated to the poet’s heritage. The section “Inventory” contains scientific and reference materials of the funds.